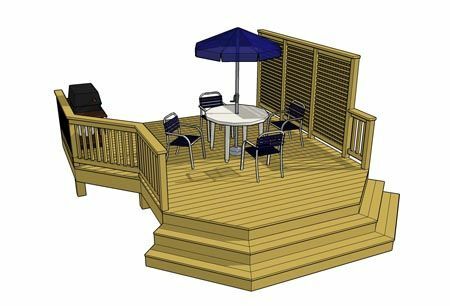 This deck design features a privacy wall, a grill niche, and a cascading stair across the front of the deck. 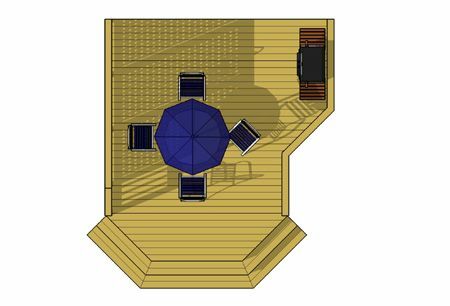 The deck size is essentially 12' x 16' with a 3' x 9' grill area that projects at an angle on one side. 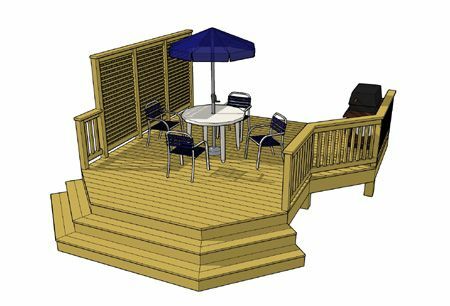 This deck uses a dialogue of vertical elements as barriers and openings to direct views and traffic.